From the bully pulpit of his New York Times column, Paul Krugman has been explaining why numbers matters since 1999. The unabashed liberal took the Bush administration to task, but he hasn’t exactly let the Obama administration off the hook, as his new book, “End This Depression Now” makes clear. The Nobel laureate is in town Monday night for a sold-out event sponsored by the Harvard Book Store. 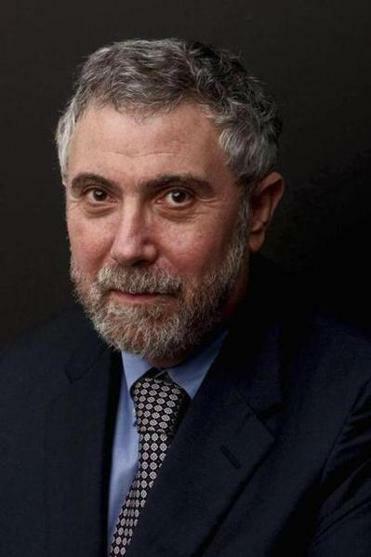 KRUGMAN: The thing with gadgets — I have a Kindle and an iPad — is that I tend to have several things going at once. I’m reading “City of Fortune” by Roger Crowley, which is about Venice and its glory centuries. I’ve been reading David McCullough’s “The Greater Journey,” about Americans abroad in the 19th century. I like it but can only read it in short snatches for some reason. I’ve also been reading “Caesar” by Adrian Goldsworthy. In recent years I’ve read a couple of Roman things, including “Rubicon” by Tom Holland, about the fall of the Roman republic. I found that in a bookstore. The problem with digital books is that you can always find what you are looking for but you need to go to a bookstore to find what you weren’t looking for. BOOKS: Anything else you have going? KRUGMAN: I just finished Ken MacLeod’s “The Restoration Game,” which was great fun. And I am rereading Isaac Asimov’s “Foundation Trilogy” because I am supposed to write an introduction to a new edition. That is pleasure and work together. BOOKS: That trilogy was formative for you wasn’t it? KRUGMAN: I first read them when I was a teenager. I was really inspired by the psychohistorians, who used statistics and social sciences to predict the future. I knew it was fiction, but what really struck me is the notion that the science of what people do could be important. I wanted to be one of those guys. BOOKS: What are some of your other favorite sci-fi books? KRUGMAN: Last year, I reread “Dune” by Frank Herbert, which is still an awesome book. There were various sequels I didn’t like, but what got me on the reread of “Dune” is that it was clearly written by someone in the grip of a vision. BOOKS: Has your taste in science fiction changed over time? KRUGMAN: I like old-fashioned space opera less. There isn’t much current stuff I really like. The authors I do [like] seem to be mostly Scots or Brits, such as Iain Banks, Charlie Stross, and MacLeod. BOOKS: What do you read for work? KRUGMAN: I start each morning with The New York Times, The Financial Times, some financial news sites, and a select list of economic blogs. They have really flourished. The economic disaster has been really good for analysis. BOOKS: Which of those blogs would you recommend for a general reader? KRUGMAN: The Economist’s View, a blog that is really an omnibus with a lot of selections worth reading. The Washington Monthly’s blog is a good way to keep your finger on what’s happening. BOOKS: One of your cats is named Doris Lessing. Who’s the fan in your household? KRUGMAN: It’s me. I read “The Golden Notebook” probably in my 20s, and I’ve read the whole “Martha Quest” sequence. Oddly, I haven’t read her science fiction. BOOKS: Any other novelists you like? KRUGMAN: Novel novels? I think I should read more of them, but I don’t. I was never into novels much. It was probably a source of pleasure that I missed, and then as you get older it’s harder to go out of your comfort zone. And now reading is less of an escape for me, especially since I’ve learned how to find concerts on YouTube. I’ll sit down and say, ‘”Do I want to read a book or do I want to watch a Peter Gabriel concert from 1993?’’ I want to watch the Peter Gabriel concert.